Porch electrical systems have some specific requirements beyond your home's interior wiring. I've done a fair share of electrical wiring and troubleshooting for our own home. So, I'd like to share some general knowledge I have with you. Knowing exactly what you have and how it works will help you decide (1) whether you can extend existing circuitry safely to code and (2) whether you have the knowledge and skills to do it yourself or hire a professional electrician. The information we provide is not intended as instructional nor as "certified" electrical information for installation purposes. 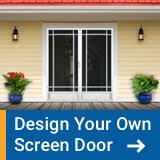 It is INFORMATIONAL ONLY for porch electrical systems and should not be construed otherwise. 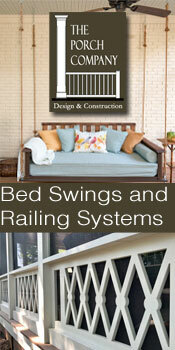 Maximize Your Porch's Electrical Capabilities for Ultimate Comfort! We recommend always consulting a professional electrician and/or your local electrical codes inspector prior to doing any electrical work. Rules differ by state and local jurisdictions - always consult with your local electrical codes department. Read more about permits and codes. What Electrical Capabilities Does Your Porch Have? And How Much Do You Need? 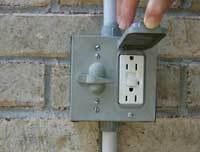 Unfortunately, most porch electrical systems have limited electrical receptacles (or outlets). 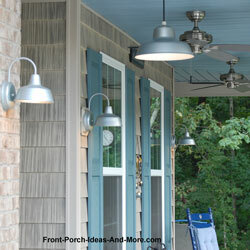 Normally, porches are only wired with one receptacle and one to two lights. 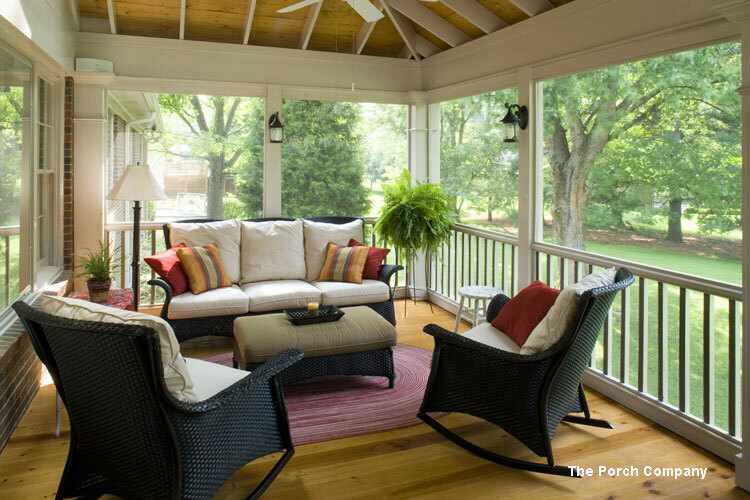 For small porches, this may be enough. But for larger porches or if you are going to convert your porch to a screened porch, three season porch, four season porch, extra receptacles and switches will be needed. Receptacles: these are normally wired from an existing branch circuit and must be protected with a GFCI (a ground fault circuit interrupter). This is the only device that will save your life. A GFCI automatically shuts off the power if a dangerous leakage of electrical current known as a ground fault is detected. Most people believe that circuit breakers will "trip" and save you. Circuit breakers are installed to protect the wiring, not you. GFCIs are required for all outdoor receptacles or where water may be prevalent (like kitchens and bathrooms). You can either install a GFCI receptacle (we show you how its done) or install a ground fault circuit interrupter in the panel which will provide protection for all of the receptacles on that circuit. 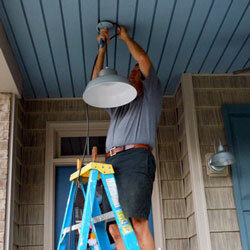 Lights: Again, most porch electrical systems only have one to two at the most. If you are lucky,there may be a light on either side of the front door. 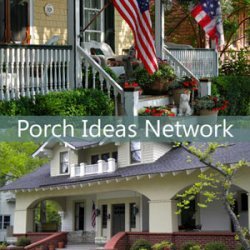 Porches are normally not well lit nor do they have lighting options like dimmers or additional lighting that is operated from a different switch. Lighting is also a safety issue. It's a very good idea to have dual-bulb lighting fixtures - which means at least two bulbs in every fixture. This is especially important if you only have one light fixture (with one bulb). If the bulb goes out, you are in total darkness. Lighting also makes a decorative statement. Lighting fixtures, by virtue of their color and design, can make your porch more attractive and even create greater curb appeal. Old, chipped, cob-web filled, fixtures are not decorative. 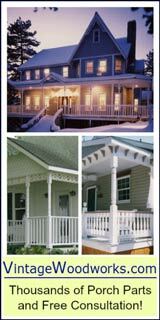 Replace them with designs that reflect the style of your home and porch. Door bells: When was the last time you replaced it? You probably never gave a thought that doorbells are part of your porch electrical system. We often forget about this little item but we do notice doorbells that have been "rung" beyond their time. They cost little to purchase and are easy to install. You can't have too many! Well, you really can. But one or two more, depending on how you are using your porch, can definitely increase accessibility to power. And it's a safety issue also. Overloading a receptacle or circuit can be disastrous. Adding additional receptacles (GFCI protected) is not usually difficult to do if you have basic wiring knowledge skills, are knowledgeable of the applicable electrical codes, and know when to pull the proper permits. Adding additional receptacles to your porch electrical system in the right places on and around your porch can also come in handy when putting up holiday lights. Plug a timer into the receptacle for awesome convenience. No more needing to think about turning your lights on and off as the timer takes care of that for you. Refer to our porch photo above. So very handy! Use our How to Wire a Receptacle Guide to see how it is done. It's almost common now for new construction to place receptacles in strategic places for just this purpose. So if you are planning to build a home, consider where to place your exterior receptacles. 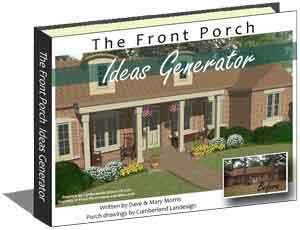 This is a must for most porches. 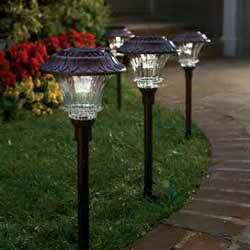 As stated earlier, ensure your porch either has at least one dual bulb fixture or multiple lighting fixtures. But that's not all. You can install additional "can lights" in the ceiling or hang a chandelier over a table to create an intimate look. Also, consider using mood lighting when hosting parties, having intimate conversations, or listening to your favorite music. 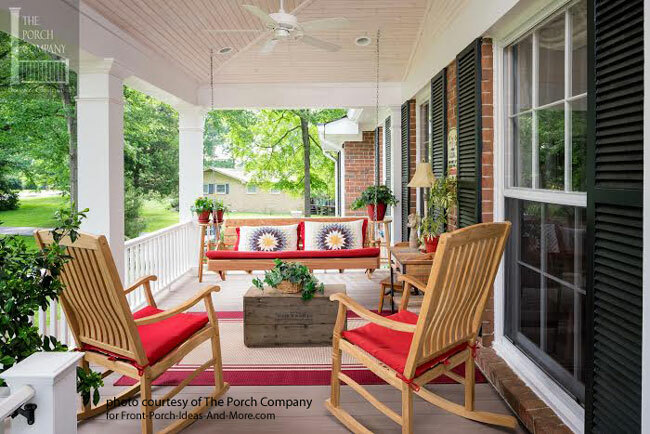 (custom porch by The Porch Company). These can be used over storage areas/containers to provide extra light when needed. Spot lighting is also useful in and around your outdoor entertainment systems. 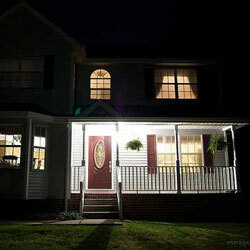 For security purposes, install motion sensor flood lights on the corner of your porch. Ensure they have photocells to prevent them from turning on during daylight hours. Look for ones with adjustable timers to control how long the light stays on after being triggered. Some models have distance controls to adjust sensitivity. Highlight specific landscaping features near your porch. 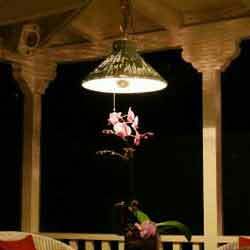 Decorative lighting should be used judiciously to accent only favorite features of your porch. Provide the best of both worlds - light and a nice breeze! Ceiling fans and light kits come in a wide variety of styles to suit the most discriminating decorator. Installing dimmer switches can turn bright safety lighting into soft mood lighting. Depending on the size of your porch don't' forget to install a 3-way switch(es). This makes lighting much easier to control from one side of the porch to the other. Remember to use weather-proof switches. 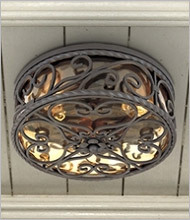 Another great addition is motion sensor lighting for your porch lighting. This is really helpful when security is a priority. It allows you to approach and/or leave your home in light. How many times have you left during the day and returned to a dark exterior when your arrive home later in the evening? Problem solved! Don't forget lighting for the stairs. Install lighting on or beside your stairs. Special staircase lighting is available for just this purpose and it looks great. 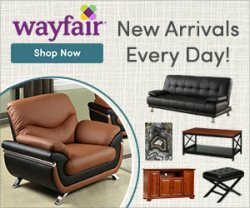 It provides an extra measure of safety for you, your family, and guests. And while we are on the subject, extend your porch lighting to the walkway. Illuminate the dark areas while simultaneously providing a lit path for guests. 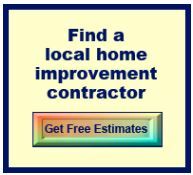 NOTE: Installing light fixtures, switches, and fans are relatively easy DIY projects. Also note that outdoor wiring has specific code requirements, so check out this must know information. What about outdoor kitchens? Some may take special wiring. 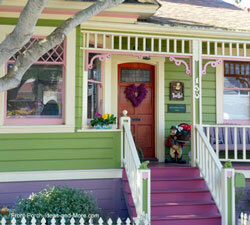 If building a new porch, you may want to plan ahead and wire for a range, stove, refrigerator or microwave. Extending branch circuits will not suffice for these appliances so you'll have to run a new branch circuit. Grilling your style? Plan for electric close by to run the rotisserie. Outdoor entertainment: outdoor living is fantastic! Especially if you can install outdoor entertainment systems (speakers, flat screen tvs, cds,etc.) Wiring for these has unique requirements within your porch electrical system and is great DIY project. Sound systems: Don't forget the speakers. We loved our external porch speakers. We had them installed when we built a previous home and enjoyed many hours of music listening on our porch. There are many systems to choose from to fit almost any budget. 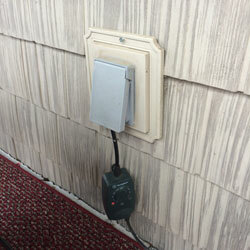 Computers: If you plan to use your computer on your porch like we do, then install an isolated-ground circuit to protect sensitive equipment. Computers should also be protected by a standard surge protector. 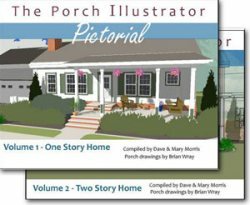 How do you use your porch? Mostly for entertaining? Kitchens require additional wiring and you will want to have separate branch circuits for this purpose. Intimate dining? Try a pretty chandelier over a small table to set the mood. Reading? Spot lighting may work well for this by providing just the right amount of light. In order to determine if your existing wiring can be extended, you'll need to know exactly what is being powered by the branch circuit(s). For safety reasons, you should only use 80% of its total capability. If you max that out, you'll need to run separate wire. If this seems a bit confusing, don't despair. You should consult with a professional electrician for assistance with your porch electrical system. 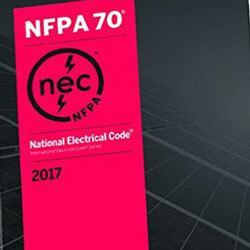 Make sure all of your products, that is, your light fixtures, wiring, receptacles, and switches within your porch electrical system are all approved for exterior use. Do not use products designed for interior use on your porch. 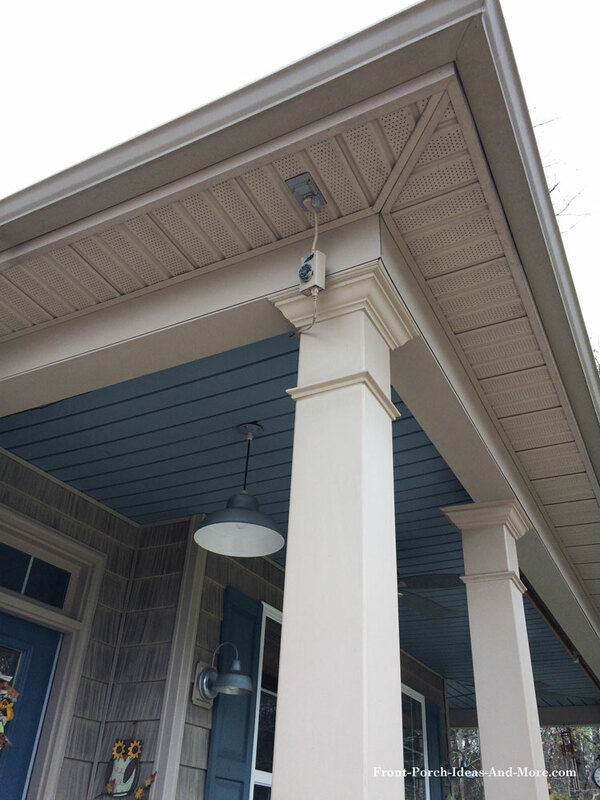 Porch electrical systems can satisfy every need you have if you take the time to learn and properly install what you need or consult your electrician.